Holy cannoli!! What a wild ride! Creepy and twisted and oddly addicting. Tiffany knows how to wield the pen and create fantastical stories that grab you from the very first page. From the moment I opened this book, I was sucked in and couldn’t put it down. I found myself talking out loud, and often, in order to make heads or tails about what happened. And I should pat myself on the back, because I was right!! Well, my first gut feeling was right. The more I read, the more I changed my mind, but I kept coming back to my original thought. Yay, me! Allison goes back to house she grew up in, only to confront her past ghosts. Something happened that made her leave and she is determined to find out what really happened. She meets up with all her past family and finds out that there were more secrets than she ever imagined. But she will stop at nothing to uncover what really happened. This book made me uncomfortable, and not because it’s made up, but because it’s probably real. While the story itself is made up, the finer points I’m sure happened. Sick and twisted, but forgiving and hopeful. That is all I will say. I want you to go in this with an open and clear mind. 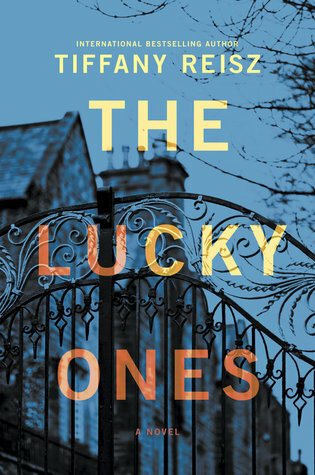 The Lucky Ones is a standalone that will keep you engaged and guessing till the very end. I hope you love it as much as I did! Plus it has a character, from another book, that many may get excited about. I know I did. And it made me love this book even more. It sounds very twisty and plenty of thrills – thank you for sharing. I love Tiffany! I read everything she writes. I haven’t started this beauty yet, but I can’t wait. It’s so twisted and fabulous!! She’s a wizard. I just love how her brain works.